If you’re looking for a killer discount on a large-screen TV, then look no further than this fantastic deal we’ve found from Walmart. 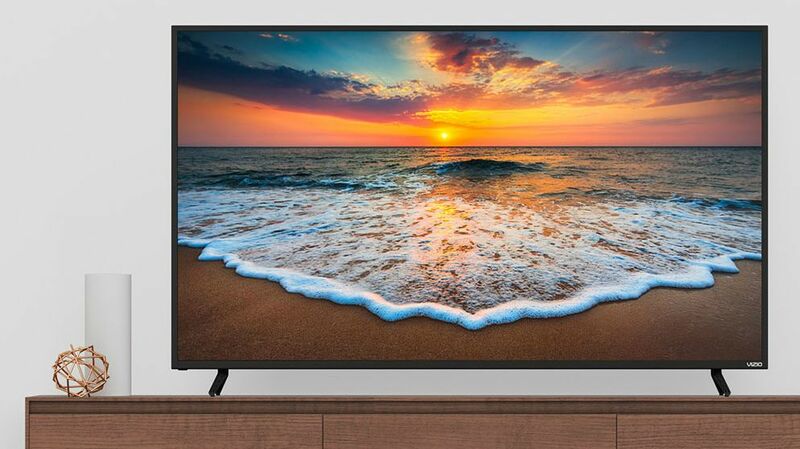 Right now you can get the Vizio 65-inch 4K TV on sale for just $549.99. That’s a $148 discount and the best price we’ve seen for the UHD smart TV. The budget-friendly Vizio has all the superior features you want in a big-screen TV. You can watch all your favorite content directly from the smart TV with the ability to stream Netflix, Hulu, Prime Video and more. The Vizio D65x-G4 also has Chromecast built-in which allows you to stream thousands of movies and TV shows from the Chromecast app on your phone or tablet. This TV is also compatible with Amazon Alexa and the Google Assistant so you can use your voice to turn on the TV, change channels, watch movies and more. The Vizio D-Series features 4K Ultra HD resolution so you can watch premium content in sharp contrast and accurate colors. The UHD TV also features full array LED backlighting resulting in a high-quality life-like picture. This is one of the best prices we’ve seen for a 65-inch 4K smart TV and the lowest price we’ve seen for this particular model. We aren’t sure how long Walmart will have this TV on sale, so you should make sure to take advantage of this excellent deal while you can. Shop more of best cheap TV deals and sale prices that are currently going on and find out how to watch the Final Four with our March Madness 2019 live stream guide. You can also learn more about our top-rated TVs with our guide on the best TVs of 2019: the big-screen TVs worth buying this year.